To give myself a fighting chance of getting some reading done, I’m going to keep my updates pretty simple. This post will feature updates for Monday through to Friday. Thoughts from Monday: I am in *love* with Yes, Please. I have the paperback and I’ve read some and it was funny but the audiobook is even better. 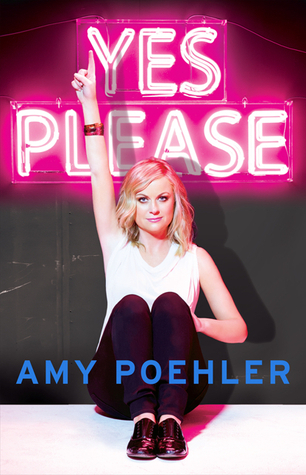 It features cameos from all sorts of comedians that Amy Poehler has worked with and it’s extremely well put together. On the reading front, I got home earlier than Boyfriend for a change and it was chilly so I curled up under a duvet and spent some time with Station Eleven. I have to admit that I wasn’t overly keen at first. I struggled to connect with any of the characters and although I did think that the connections between the characters and how they were revealed were clever, I was struggling. With the last 100 or so pages, though, I’ve really been getting into it. I’ve got about a quarter left and I’m heading off to get to it! Hope all of your Mondays are going superbly. Thoughts from Tuesday: I’m writing this on Wednesday so that kind of tells you all you need to know about Tuesday, really! I finished Station Eleven in the evening but other than that, I worked, I went spinning, I ate and I slept…Station Eleven had some clever moments but wasn’t quite the new favourite I was hoping. Thoughts from Thursday: Thursday was crazy busy at work and I got back home from the office at about 8.30pm. After eating and spending a bit of time catching up with Boyfriend, that didn’t leave a great deal of time (or energy) for reading. Thoughts from Friday: Friday was a little better at work and I made it to a Legs, Bums and Tums class over lunch (that my muscles are punishing me for now!). It was my third gym trip this week so I’m keeping nicely to my ‘fit in more exercise’ resolution. It’s easy to get caught up in work and spend all day at my desk but making the effort to get out and do some exercise actually makes me more productive when I’m at my desk so it’s definitely a change for the better. Anyway, books! I finished Yes Please, which is sad. I loved it. There were some anecdotes that I didn’t necessarily “get” because they were about people I hadn’t heard of but it was funny and charming and feminist without being curmudgeonly. 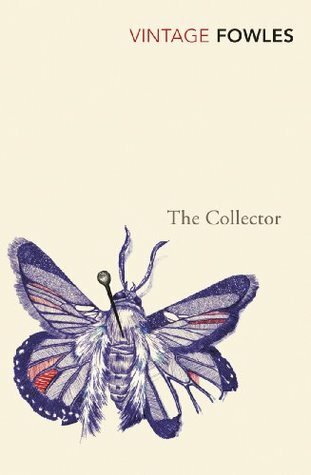 I’ve also really got into The Collector. I don’t want to talk about it too much because I’ll definitely be writing a review when I’m done but it’s just so darn clever and the writing is quirky and perfect. I went to the pub with Boyfriend after work so we could catch up after a busy week so I didn’t get much reading done but it was a good day all the same.